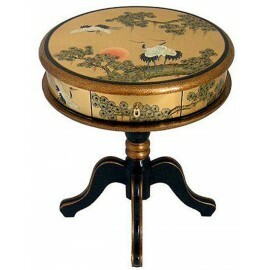 Living room Table There are 15 products. 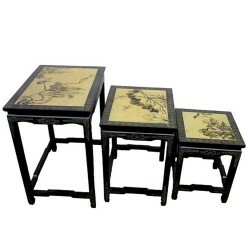 Table, chinese living room, and 4 stools.The tray of this piece of furniture from Asia is protected by a glass of 4mm.Dimensions: L76 x P76 x H51 cm. 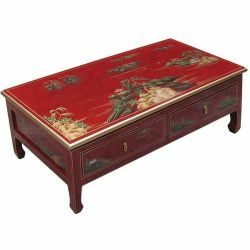 Table chinese exhibition and its 6 stoolsThe tray of this piece of furniture from Asia is protected by a glass of 4mm.Dimensions: L122 x P76 x H51 cm. 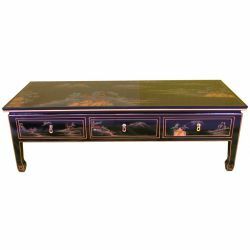 Low Table chinese ovalThis coffee table can also be used as a TV standDimensions: L100 x P71 x H38 cm. 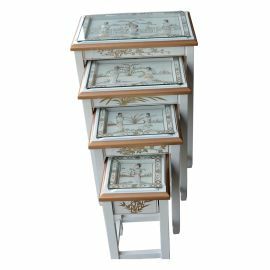 Table games China. 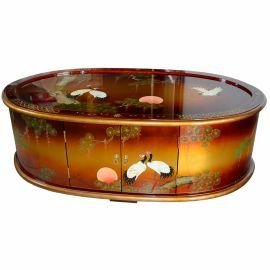 Dimensions: D61 x H66 cm. 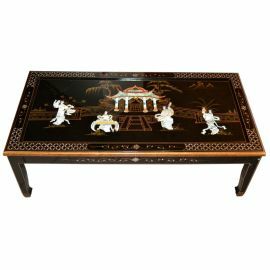 Living room Table black lacquer with inlaid mother-of-pearl of ChinaA beveled glass 4mm protects the tray.Dimensions: L120 x P60 x H40 cm. 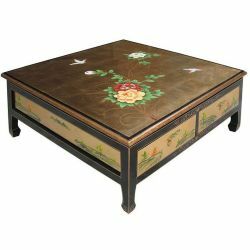 Coffee Table painted in China with 3 drawersDimensions: L127 x P51 x H41 cmA glass of 4mm protects the tray.